The most peaceful hour at church is before worship starts. In worship we all experience God and share our faith through music, readings, prayer, and community. But a small group of volunteers enjoy our sanctuary in the quiet light of early morning, nurturing their faith with solitude and contemplative service. They do this while performing a few easily-learned, routine tasks that make worship possible for our whole community. They are called the Altar Guild, and they're in need of a few more people. One Altar Guild volunteer, Lauri, told us, "I think people are intimidated by the idea of setting up the altar, but it's actually really easy. 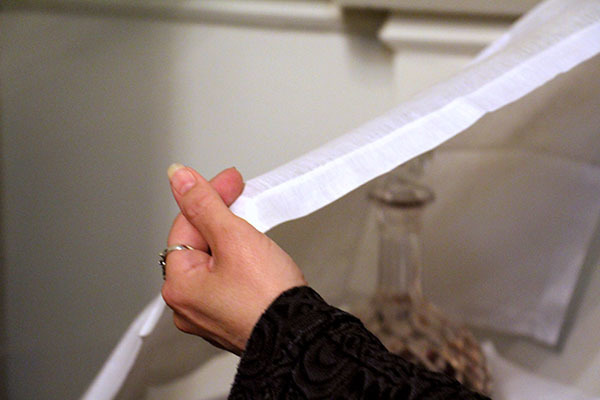 I'll arrive at about 8:30am on Sunday, grab the things I need from the sacristy . . . and when I get to the altar, all the stress of my week just falls away. I spend the half-hour doing simple, rote preparations while reflecting on my week and praying. It's a really special time for me." 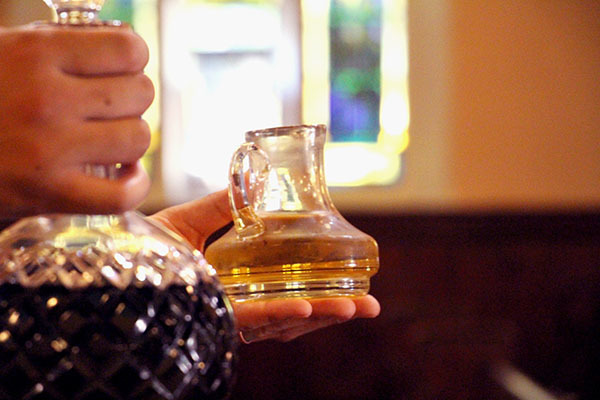 Our Altar Guild members are so excited to share with you how easy and rewarding it is serving on the Altar Guild. Email Lynne Henderson at lynne@adventnyc.org to meet with a member of the Altar Guild on a Sunday morning of your choosing. They'll show you the behind-the-scenes preparation that goes into worship, step by step, answer all your questions, and probably share a few surprising facts about all the cool artifacts tucked away in our church. After learning the ropes, you are free to discern if answering the Altar Guild's call for more members is right for you. Come learn in person about how our Altar Guild prepares us to worship on your next free Sunday morning. 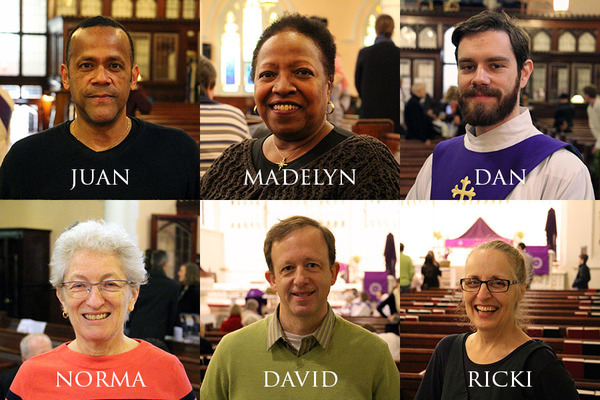 Email Lynne Henderson at lynne@adventnyc.org to set up your meeting with a volunteer in the Altar Guild. 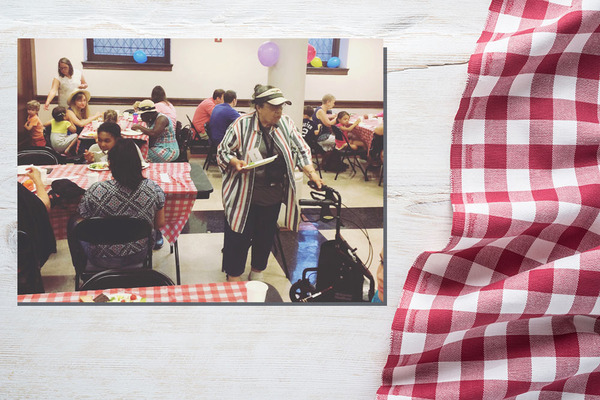 Our new program Summer Suppers is off to a great start, and we are still open for more to join. We had amazing time with all of you who joined us for the first Summer Suppers last Wednesday, and we welcome everyone to join us next time! Print the registration form and join the fun on all or any of the five remaining Wednesday evenings. Summer Suppers offers worship, learning, and fellowship to people of all ages, speaking English or Spanish. It brings many in our congregation and community together, united in faith and fellowship. Catch up on unique sermons from Pastor Ann, Ross Murray, Pastor Margay, and coming soon, Pastor Mills on our YouTube channel. This Sunday, Pastor Ann will preach on the invitation to abundant life in Isaiah 55:1-11. Keep a lookout on our Facebook page on Thursday for a sneak preview of her sermon. 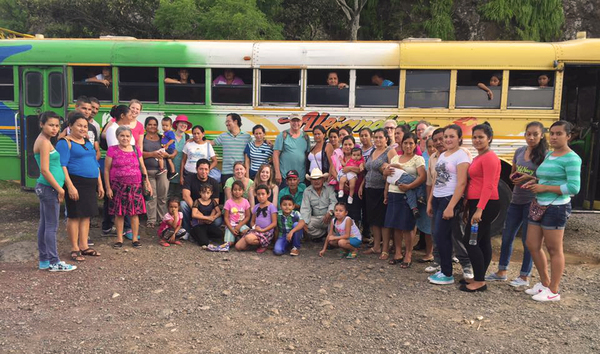 Our delegation to El Salvador will be leaving on July 12 to visit our sister church in Calderitas, tour throughout El Salvador, and learn first-hand about the conditions of the people, the power of community, and the work of the church there. For those of us staying in the States, we'll be able follow their journey on our Facebook page and offer our support to our sister church in El Salvador through July's Mission of the Month giving. Gospel Text | Luke 10:38-42: Jesus is hosted by Martha and Mary. Old Testament Reading | Isaiah 55:1-11: An invitation to abundant life. Sunday School | Taking a summer break until Rally Day Sunday, September 18. Adult Conversation | Meets at 10:10am in the basement fellowship hall. Pastor Ann will lead a discussion about the day's readings.